There was a little trouble with communication but it worked out. Staff was friendly and helpful; This is the first car I buy and the guidance for me to purchase it was good. 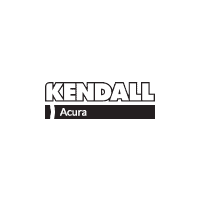 I love my new car and Jordan and Josh at Kendall Honda of Eugene made car shopping easy. My wife and I had a great experience purchasing our new 2019 Honda Passport at Kendall Honda. Our sales consultant, Paul Casey was very thorough in explaining the features and allowed us to take a test drive by ourselves. The entire sales process was straight forward, low key and without any pressure. The finance guy was the same... no pressure. This was probably our best experience in buying a new vehicle and we've bought a number of them over the years. I had a minor issue which the service department promptly diagnosed and repaired. Service department is great to work with. Always do a great job and in a timely manner.